Beef stew can become one of your go-to staples on Paleo because it’s easy to make, and even traditional recipes only have a few ingredients that you need to steer clear of. 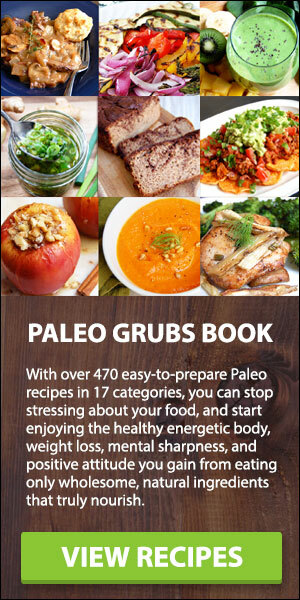 The recipes below are all Paleo tested and approved, containing natural ingredients, choice cuts of meat, and unique approaches to a long-standing favorite. Try one, try them all, pick a favorite and enjoy this whenever the urge strikes. Don’t be fooled by the fancy name, bourguignon is a French name for a beef stew that uses red wine in the cooking process. Even though going Paleo means giving up alcohol, you can still use it in your cooking to enhance the flavor. 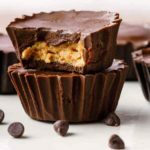 This is a specialized version that uses all Paleo ingredients, so you can eat it up without worrying that you’re veering off course. Notice that in addition to all of the beef used, there are vegetables rounding things out, namely green beans and carrots. There’s some debate about green beans being Paleo, but general consensus says they’re alright. 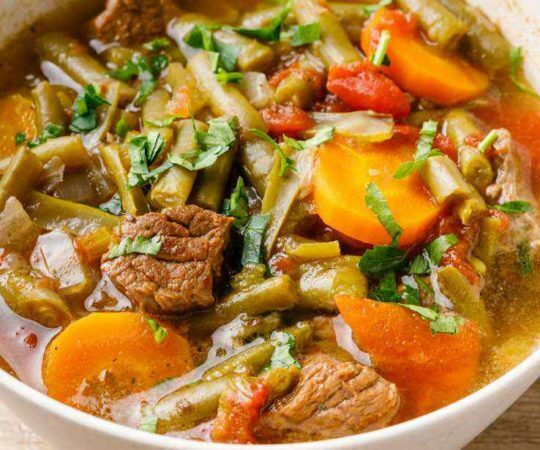 It’s important to keep in mind the ratio of meats to vegetables when eating Paleo, and a beef stew is the perfect canvas to make sure that you’ve got both of them in pretty equal parts. Here they’re recommending that you use grass-fed beef, and this is important because conventionally raised cattle is fed grains and therefore they’re not eating what they naturally would, and you end up getting those grains as well. The use of a broad range of vegetables in this stew makes it certain you’re getting a balanced Paleo meal. This may be one of the stews on our list with the best presentation, thanks to a special spirally rutabaga that resembles noodles. 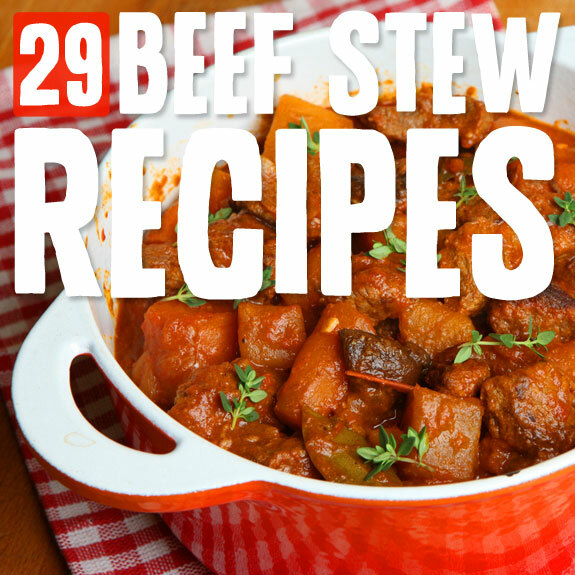 The stew itself is pretty unique, incorporating two distinct flavors that you typically don’t find in a beef stew. The orange flavor comes from oranges of course because Paleo is all about using natural ingredients, and premium meats. 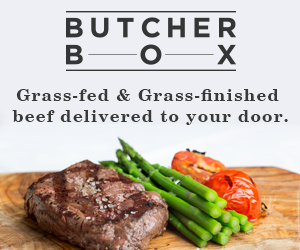 They’re using grass-fed meat specifically for stews, so you know it’s going to come out tender and delicious. The cinnamon is not overpowering because it has a lot of other spices and seasonings jockeying for position on your taste buds. Here’s a beef stew that combines 3 things that should go together quite well. Doing shots of rum is not recommended on Paleo, but if you happen to have some on hand you can use it in your cooking. The alcohol will burn off during the simmering process, and you’ll be left with the flavor of the rum. It will also help tenderize the meat during the cooking process. 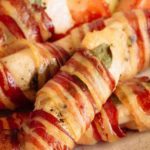 Combining beef with bacon is pretty common on Paleo, since most types of meats get the green light. Be sure to use premium, lean cuts of bacon for this stew so it doesn’t come out greasy. Stews are very popular in Korea, and some of the most popular national dishes are soups or thick stews. This recipe does its best to stay true to the types of Korean stews you might find in Korea, while making sure the ingredients remain Paleo friendly. If you’re looking for a beef stew with flavors that you’re not used to, this is the way to go. They kick things up a notch by adding pepper, and Koreans are no strangers to spicy things, so this stew will wake up your taste buds and clear your sinuses for you. This recipe uses a ton of ingredients, but we challenge you to find one that you’d want to leave out. They all go together perfectly, and create a finished product that may just become your new favorite beef stew. You might find that you don’t have all of these ingredients on hand, but it might be worth picking them up the next time you’re out. 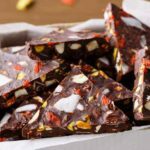 When eating Paleo it’s important to stock your kitchen with plenty of items that are Paleo approved so that you can make interesting and tasty dishes that you won’t get bored with. 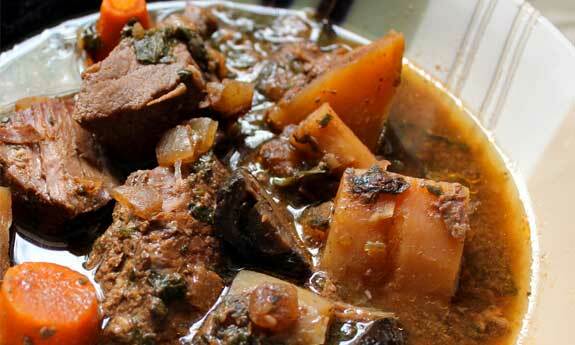 Here’s another bourguignon recipe in case you try the one above and decide that you like it. It’s using a few different ingredients and methods so it will come out with a different taste, and you can decide which one you like best. Of course it uses red wine, or it wouldn’t be living up to its name. With ingredients like carrots, onions, and potatoes you are going to feel full when you have this. Potatoes are on the foods to avoid list, so if you are following Paleo strictly you’ll want to leave these out. Paleo is about making your own mind up about which foods your body processes well, and which it doesn’t. Ginger and beef go together great, and it’s no wonder that someone decided to use ginger in a beef stew. 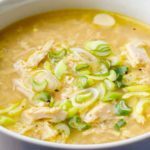 This is a gluten-free recipe that is also Paleo friendly, with awesome ingredients like zucchini, onions, and green peppers. Opt out of the potatoes if you’ve determined that your body can’t handle them, or if you just want to follow the Paleo guidelines strictly. They aren’t using ginger powder, but actual ginger root cut up into cubes, so you’re going to get nice well-cooked pieces of ginger alongside your beef. Yum! 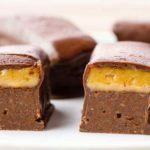 This recipe is listed as Primal, but can also be considered Paleo because all of its ingredients qualify. The Primal way of eating is similar to Paleo, but they differ on what exactly they think you should be eating. 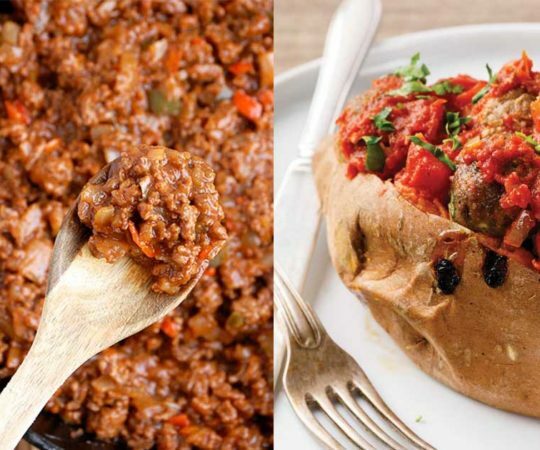 Check out our guide to figuring out the difference between Primal and Paleo. The cabernet sauce is a nice touch, and definitely brings a light flavor enhancement to the meal, and with tasty ingredients like coconut oil, rosemary, and garlic you’re going to get a robust meal with this recipe. 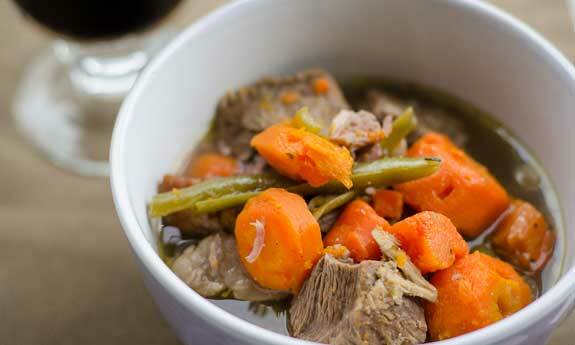 How to make a beef stew better? Add lamb! Even though combining two meats in one meal is probably something Stone Age man only did on the day of a fortuitous hunt, it shows up a lot in Paleo inspired recipes. Here they’re using lamb sausages, so you’re going to not only get a different flavor profile, but also a different texture. 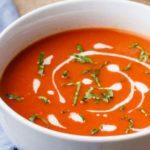 It all works amazingly well, and the complementary ingredients like tomatoes, onion, and garlic, all work to bring out the flavor of the meats. This is one beef stew that takes a bit of work and isn’t just a matter of tossing ingredients into the pot. But if you want a stew that you’ve likely never tasted before, this is it. The addition of liverwurst into the mix is enough to turn heads, and they are making sure to use grass-fed liverwurst (you may have to stop off at the butcher to find this one). 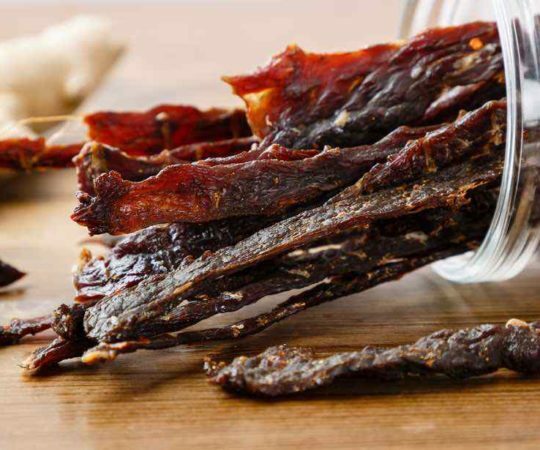 They’re adding that to grass-fed beef and using a wide assortment of Filipino-inspired spices and secondary ingredients so unless you’ve traveled to the Philippines or have a great Filipino restaurant in your area this is going to be new on your palate. 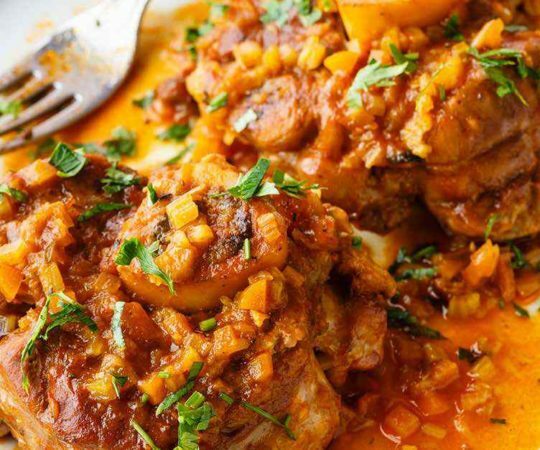 The slow cooker should be your new best friend on the Paleo diet because it mimics the presumed cooking style of early man, slowly simmering ingredients together until they’re nice and soft and easy to digest. This Swedish themed stew uses a good portion of meat, and mixes it with plenty of other Paleo approved foods to bring you one tasty stew. Garlic, onions, allspice, and bay leaves won’t shortchange you in the flavor department, and if you’re a fan of Swedish food you’ll be all for this offering. 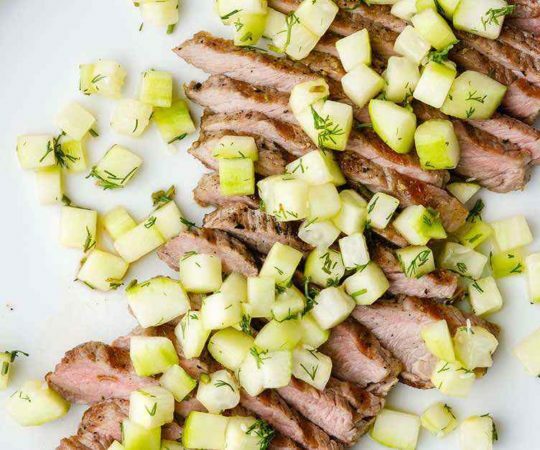 The creator of this recipe claims to be a Paleo professional, and it becomes clear that it’s not an empty claim when you see how they’ve combined beef and lamb, and slow cooked it to perfection so you don’t have to babysit it for hours. You can see that they’re paying extra attention to the quality of the food being used, opting for organic vegetables, and recommending that you go with grass-fed beef as opposed to buying ordinary beef which is full of antibiotics and bovine growth hormones, neither of which existed during the times of Paleolithic man. This is a stew that will give you a lime infusion with each bite. Using a citrus fruit like this is a great idea, because the citric acid will help tenderize the meat, and also make it extra tasty. But the lime is not the only interesting ingredient in play here. 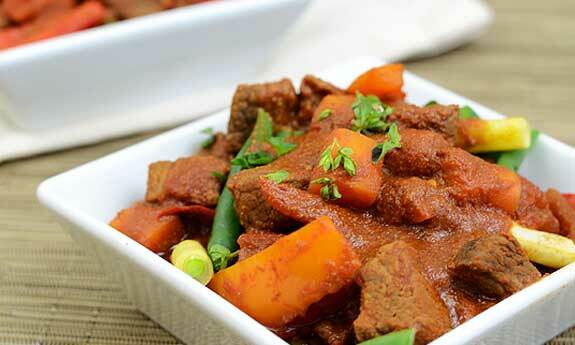 There’s also sweet potato, which is something we only found in this one recipe for beef stew. Another twist is that they’re using coconut milk, so you’re going to get a hint of sweetness to this, heartiness from the sweet potatoes, and a nice hint of sour from the lime. Sweet and spice go together so well, it’s easy to see how someone decided to make a stew with this flavor duo. Chipotle provides the heat, but not so much that your tongue is burning. Bell peppers are charged with the task of adding a sweet flavor, and they recommend that you use only red, yellow, and orange to pull off the feat. See how they’re garnishing it with avocado? That’s a great idea, since avocado is definitely a Paleo food, and delivers essential healthy fats to your body, as well as much needed fiber and potassium. This is a nice stew that will suit you if you just want to eat the meat and vegetables, and don’t really like your stew to be soupy. That’s because they give you the option of making a thicker sauce, which will stick to the meat and squash even more, leaving little behind in the bowl for you to spoon up. 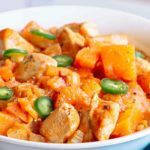 Butternut squash is a great vegetable to enjoy while you’re eating the Paleo way, and it’s so versatile that it can find its way into all sorts of recipes and enhance both the flavor and nutritional profile of a meal. It may not sound glamorous, but when you consider that early man was more pauper than prince, it seems fitting to eat a dish called Poverty Stew. What’s really happening here is they are keeping the ingredients very basic, while at the same time making it so you can keep the cost down on this stew. Typically on Paleo you want to be paying a little extra for high quality foods that are made to the best standards, but it’s nice to see that there are ways to make a full meal on the cheap that still falls within the Paleo program. This has a few elements to it that make it very unique, and one of them is the use of smoked tomatoes. These are going to have a flavor all their own, and would have made this a special enough recipe by itself. But then they went and added chipotles, so you’re going to have smoky and spicy together in each mouthful, and that takes the concept of beef stew and shakes it up a bit. Onion, garlic, and butternut squash help to round things out here, and there’s no reason not to try this out and see what you think. Cuddling up on a cold winter’s night with this beef stew may be all you need to fight off the winter time blues. 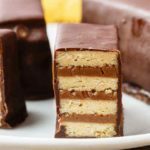 They have this served up with biscuits, but before you write those off wait, because they’re made with coconut flour, and totally Paleo friendly. There’s no reason not to whip up a batch of these special biscuits to enjoy with your stew, warm up your belly, and make you feel even more satisfied with the meal. Yummy Paleo ingredients are used throughout. You can tell by all of the fresh ingredients being used that there is an eye on quality with this recipe. The long list of seasonings may seem excessive, but when you taste what it creates you’ll be a believer. 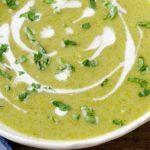 There are tons of vegetables used in this, as well as a wonderful portion of meat, and she’s even using Paleo inspired fats like ghee or coconut oil for the fat, when conventional recipes have you using oils that aren’t Paleo approved, like vegetable oil. The concept behind this beef stew is that you assemble all of the ingredients in large quantities, divvy it up into freezer bags, freeze it up, and when you’re ready for beef stew you simply take it from the freezer, drop it in the Crock Pot, and you have a meal that cooks itself. They say they don’t even thaw it, they just drop it right in and adjust the cooking time accordingly. They’re using all Paleo ingredients, so this is a meal you can freeze and eat whenever you don’t feel like cooking but want a hearty meal. Sweet and smoky get equal representation in this beef stew. They’re pulling sweet from the tomatoes and they use bacon for the smokiness. The bacon they’re using is beef bacon, and it’s sugar free. That’s an important factor to consider when purchasing bacon, since most conventional bacon has added sugar to give it a sweet taste. The other ingredients they’re using make sure that you’re getting a pretty good split of meat and vegetables, with plenty of beef, and veggies like carrots, onions, and mushrooms to balance it up. This stew is going to be really good for you thanks to the addition of kale to an already healthy group of ingredients. Butternut squash works great in beef stew, as we’ve seen from a few different recipes on this page, and it is also pretty nutritious. Adding kale means you’ll be getting extra protein, a good dose of potassium and other minerals, and plenty of vitamins. Of course there’s also plenty of beef and they’re using bacon fat as the oil, so it’s going to provide plenty of flavor. The name suggests this makes a great fall recipe, but it’s also good any time of the year. To be sure, early man’s diet would change with the season, as certain vegetables and fruits were not available all year long like they are today. It’s good to mimic this by eating foods that are in season. The side benefit is that this usually means they’re at a good price because they’re abundant. Going to a farmer’s market is a good way to tell what’s in season and get food fresh from the growers. This stew is full of yummy autumn vegetables, but opt out of the potatoes if you want to be totally Paleo. We love it when two worlds collide, and in this case it’s Mexican food and beef stew. They’ve taken all of the flavors you love from enchiladas and turned it into a stew that you will make you want a second helping. The great part is that they do it all with just 7 ingredients, using a bit of a cheat by using enchilada sauce to make it easier. They’ve included both beef and bacon, so you’ll enjoy the taste and texture of two different types of meat, but there’s only an onion for vegetables. That’s why they suggest serving it over a bed of stir fried vegetables to make it a complete meal. Here’s a beef stew that will smack you in the face, so be ready for it. If you like your stew spicy, this is probably the way to go, as there isn’t much to it other than spices and beef. 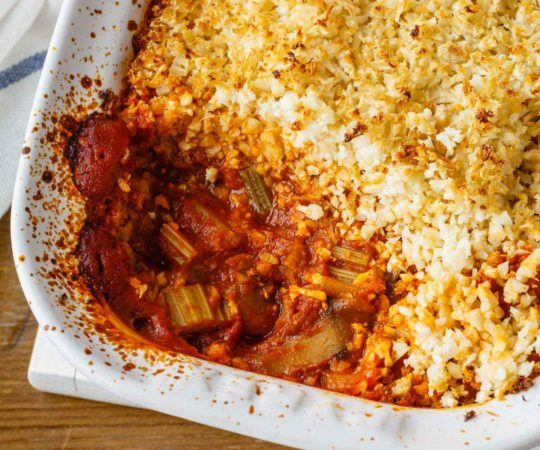 Sure, there’s tomatoes and onion used to give it the benefit of vegetables, but what really steals the show is the big chunks of meat, and the assortment of spices that is sure to wake up your mouth and make you wonder where the heat will stop. Applesauce is potentially the only thing that will help cool this down. 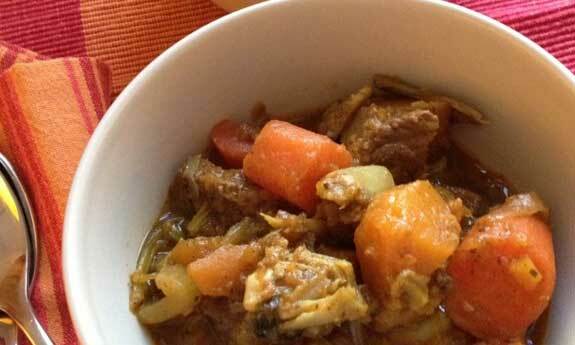 If you want a nice curry flavor to your beef stew, use this recipe. 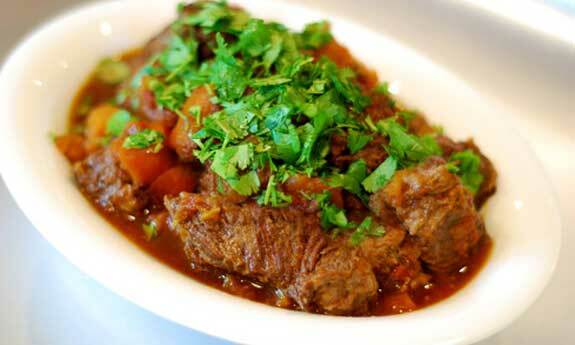 It shows you how to get that perfect curry taste, but keeps the form and function of a beef stew. So it’s not quite a curry like you’d get in India or Thailand, and it’s not the beef stew your mom used to make, but it’s definitely all Paleo. They’re even using beef sirloin, a premium cut of beef in this stew. Go a step further and make sure it’s grain-fed beef sirloin to make it as Paleo as possible. 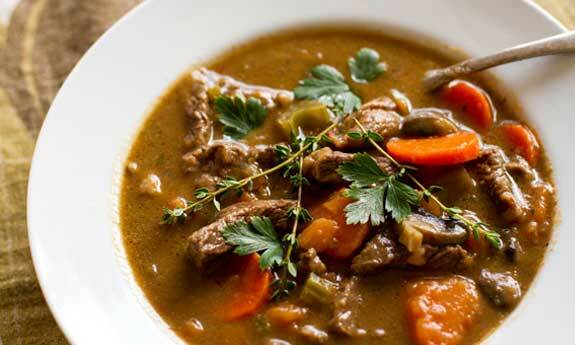 This recipe is great if you’re after an Italian-inspired beef stew recipe. You’ll notice that they have plenty of tomatoes, parsley, and fresh thyme, all foods that grow well in the rolling hills of Tuscany. 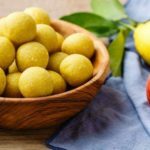 They’re also using plenty of extra virgin olive oil, one of the preferred cooking oils on Paleo. To make sure you’re getting your veggie fix they have this served up with mashed sweet potatoes, adding plenty of nutrition and helping you fill up on more than just beef. You can’t get more Paleo than with a recipe with the word hunter in the title. Paleolithic man was both a hunter and a gatherer, and this recipe stays true to form. It has plenty of meat, as you’d expect, but it also has an unexpected ingredient in the blueberries that are added. They keep it simple by just adding some carrots and an onion, something early man could easily have picked growing wildly. The blueberries are added at the very end so they don’t just turn into mush. Thank-you for including two of my recipes here, i’m flattered!